Don't you just love horses? I think it has something to do with their personality. 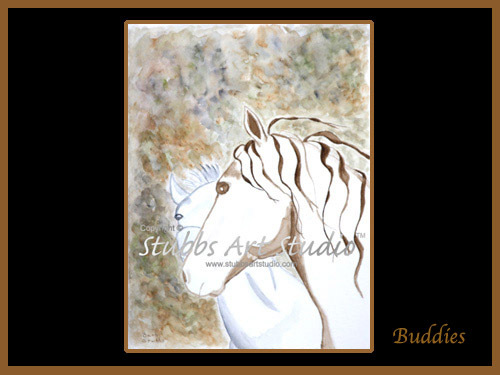 And in this watercolor painting by Barb Stubbs their personalities are easily seen, and their thoughts easily heard. In fact the painting of these 2 stylized horses could have aptly been named "Hey, who's that?"